While this blend is a beautiful representation of the Christmas season, it really is a wonderful blend to have in your medicine bag year round. The three firs that are used in this blend synergistically work together on many levels. Fir Balsam (Abies balsamea) is very grounding and centering. It also enhances clarity of mind and spirit as well as energizing to both body and mind. It is a wonderful oil for the respiratory and circulatory systems. Great to have on hand for cold and flu season. Fir Giant (Abies grande) possesses a soft, sweetly resinous fragrance that has a calming, centering and deeply grounding influence while at the same time providing an uplifting and refreshing feeling. It is energetically protective and balancing. This oil is also wonderful for the sinus and breathing and very effective for coughs, sinusitis, and bronchitis. Powerful analgesic for relief of muscular aches and pains and rheumatism. White Fir (Abies concolor) has a beautiful deep woodsy aroma. This particular White Fir is very unique in its gathering and distillation. The branches were gathered by Sedona grade school children as part of a special solstice activity. This essential oils encompasses child like love, hope and joy as well as the power of the Winter Solstice. 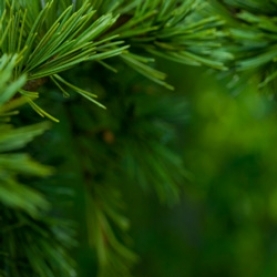 White Fir essential oil is expansive, assists in connection to higher self and spirit, and enhances meditation. As with other firs, it is beneficial to the respiratory system and extremely analgesic. This essential oil blend is perfect for use in a diffuser, blank nasal inhaler or a respiratory steam. Try putting a few drops on the shower floor while showering! Also wonderful diluted in unscented lotion or oil as a chest rub or for muscular aches and pains.